ULTIMA X are state-of-the-art gas monitors for continuous detection and monitoring of combustible gases, toxics and oxygen concentration. 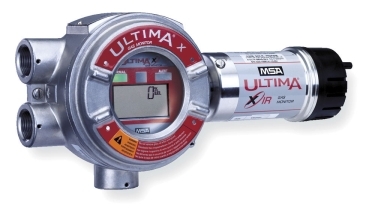 The ULTIMA X series of gas monitors is available with catalytic sensors for combustible gas and electrochemical sensors for toxic and oxygen [ULTIMA XE] or infrared for combustible gas [ULTIMA XIR]. The state-of-the-art design provides ease of use and maintenance and notably the XIR technology's outstanding long term accuracy extends the calibration interval. All ULTIMA X series monitors are protected by a rugged, explosion proof stainless steel enclosure and are suitable for indoor and outdoor applications in virtually any industry including offshore operations. The monitors can be deployed as stand-alone units, but also provide a 4 to 20 mA output for connection to controllers. In addition, the ULTIMA X3 range now supports ModBUS RTU communication with PLC, DCS or other control systems.